Carbon Monoxide (CO) is an extremely hazardous colourless, odourless and tasteless gas that can lead to potentially fatal pilot incapacitation even in small quantities. Deadly Carbon Monoxide (CO) is produced wherever fossil fuel (such as gasoline, kerosene, diesel, natural gas, and propane) is combusted without sufficient oxygen. 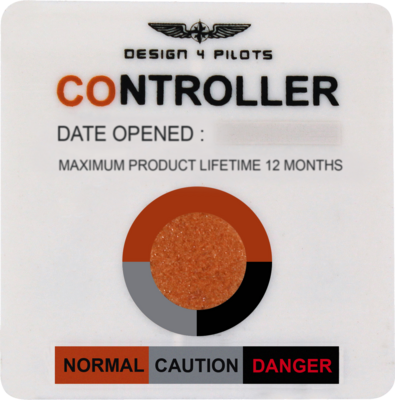 It can be used with the adhesive tape as usual, or in combination with our PILOT CONTROLLER® KIT.